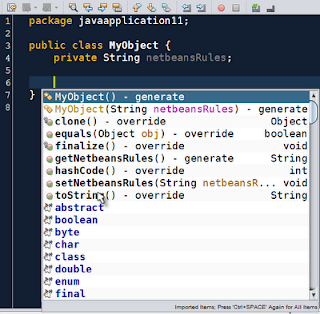 The code completion for Java in NetBeans 6.7 also includes options for code to be generated. In previous versions we had to use Source | Insert Code..., but now we only have to press Ctrl+Space and we get to see which code can be generated by NetBeans. We select the option we want to let NetBeans generate the code.